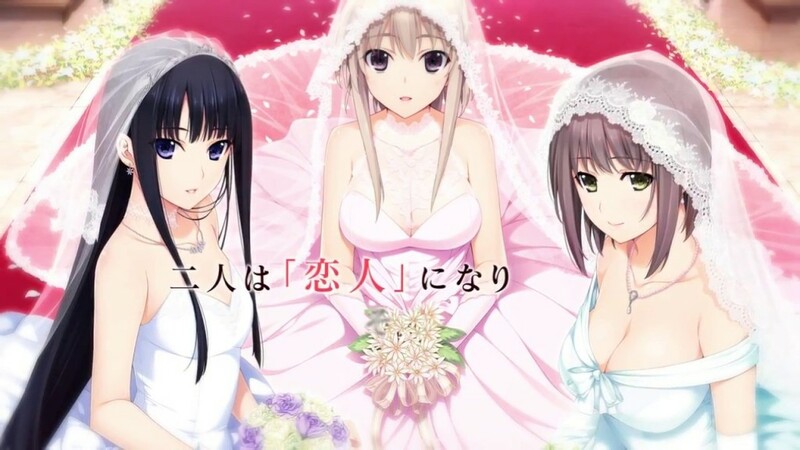 Japanese company through which ordinary people made love and romance based on a video game will be married in real life to your virtual brideit will be the wedding of the bride cartoon in the game itself is an interesting thing. The game’s name is Niitzuma Lovely xCationWhich can be described as a love match simulations. In this virtual character or three girls that you can marry. A girl with long brown hair in black, the other is small and the third blonde. Groom to make it more real in a real Church can marry their brides are virtual, Virtual Reality and will only be able to talk to your spouse through the computer. This game will be launched on April 28 and in this regard a special ceremony will be held June 30 wedding, but its location is kept secret. The company believes that many people would like to marry virtual girls. Many people will wear special Tuxedo Dress worn by Virtual Reality Headset that they will be able to see their brides waiting. Similar cartoon women accept accepted, with real men would say. The robots make friends on the computer in Japan. Tama guy the name of the daily care of virtual animals. Psychology expert’s innocent Japanese men believe or rely on the machines and robots as extraordinary as popular video game.